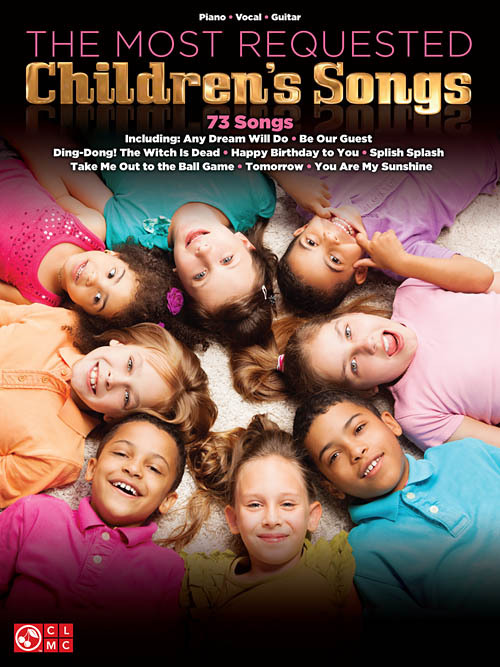 A great collection of 75 songs perfect for children of all ages. Songs include: Addams Family Theme • Anchors Aweigh • Be Our Guest • Chitty Chitty Bang Bang • Edelweiss • Ghostbusters • God Bless America® • Happy Birthday to You • Heart and Soul • I Won't Grow Up • If I Only Had a Brain • Linus and Lucy • Over the Rainbow • Put on a Happy Face • Sing • So Long, Farewell • The Star Spangled Banner • Take Me Out to the Ball Game • This Land Is Your Land • Under the Sea • Won't You Be My Neighbor? (It's a Beautiful Day in the Neighborhood) • You Are My Sunshine • You've Got a Friend in Me • and many more.